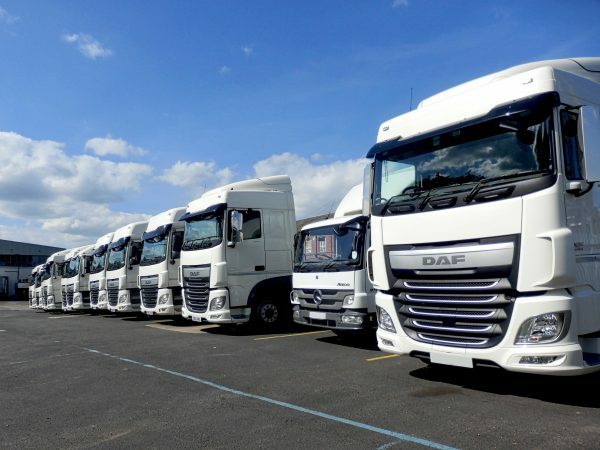 To keep a competitive edge many trucking companies turn to aerodynamic add-ons for their tractor and trailer units to help improve fuel economy. 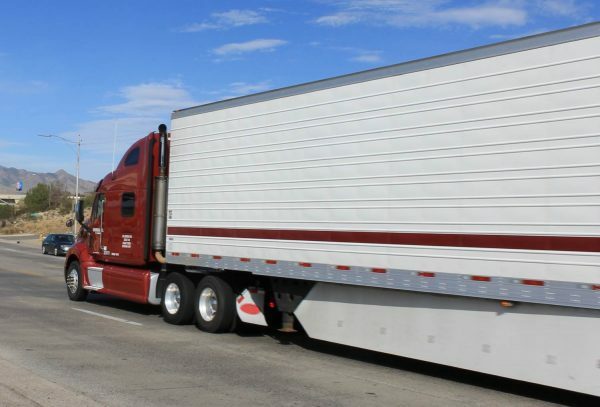 It has the added benefit of reducing the environmental impact of trucking by burning less diesel. 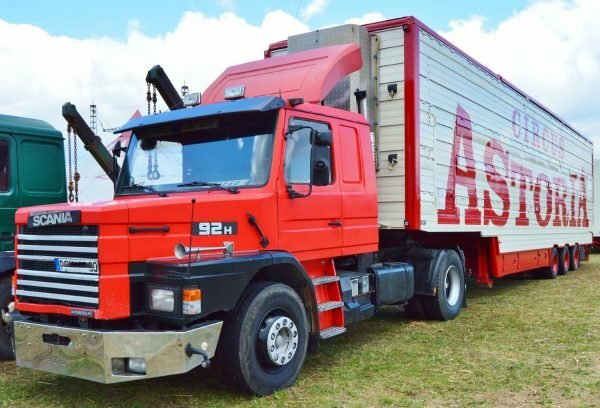 When you first learn to drive a truck there’s little if any, attention paid to how much fuel saving you can make using aerodynamic aids. Most of the training is the road rules, safe loading and ensuring your compliance with logbook work time requirements (try our logbook and work time course). Transport companies have to research their options for fuel economy. 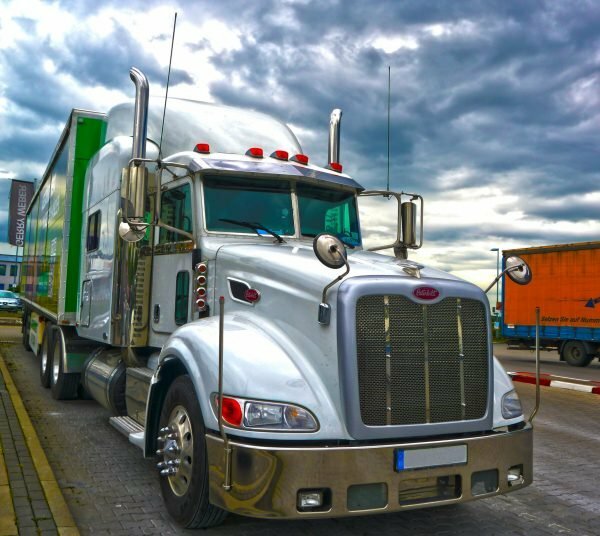 Approximately 20% of fuel consumption is used overcoming air resistance because trucks are huge and shaped like bricks and have a coefficient of drag approaching 1. Compare this to a car which is usually around 0.3. Not only is pushing all that air out of the way a huge job for the engine, but it has to turn all those wheels on the road – this is the rolling resistance and represents around 13% of fuel use. When you’re using tens of thousands of litres of diesel a year, chopping a few percent off these figures starts to add up. You can find out how to drive a truck economically here in our ultimate guide. On appropriate journeys, tyres with a low rolling resistance can save up to 2 litres per 100km driven. It’s important to know exactly what type of driving you will be doing so that you can specify the correct tyre. In the above diagram from Nokian, we can see that the trailer tyres use around 57% of the fuel consumption compared to the front tyres at 16%. 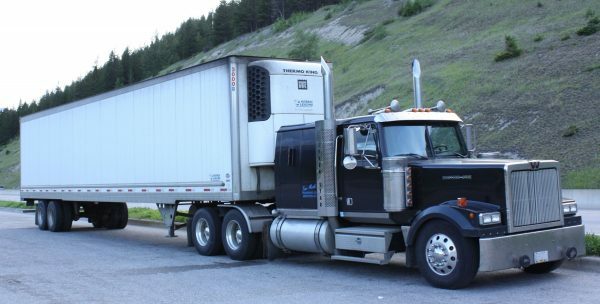 If your trailer or box body is taller than your cab, it presents a big flat area to the wind. Using a cab roof fairing deflects the air up from the windscreen and onto the top of the trailer or body. Roof-mounted cab deflector, sun visor, deep angled bumper and low trailer improve economy. In this truck, the fairing can be lowered when it’s not towing the trailer, and this improves aerodynamics. 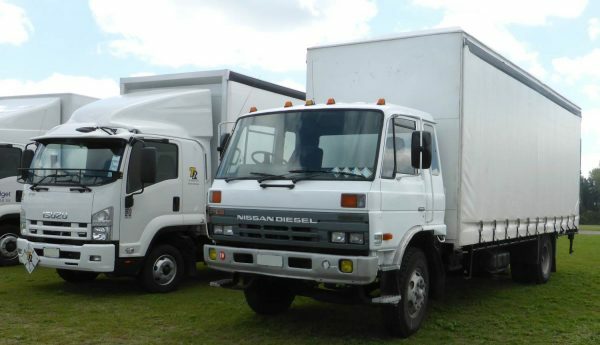 The truck on the right has no cab aero and presents a large flat slab of the box body to the headwind, while the truck on the right has a contoured fairing that deflects air both over and to the side of the box body. The truck on the left also has a lower front bumper for better air deflection (see below). Moulded bumpers help channel air down the side of the cab rather than letting it pass underneath where it becomes turbulent on the underside of the truck where the chassis and axles are. Because the truck’s sides are smoother, it’s better for the airflow. This is why we see a lot of line-haul trucks with fairly low bumpers. Obviously, some air still needs to go into the grille for engine cooling, but this can be managed by the manufacturer who will create a grille of optimum size. Side fairings channel air down the side of the trailer rather than underneath where it gets all turbulent as it passes over the chassis and axles. 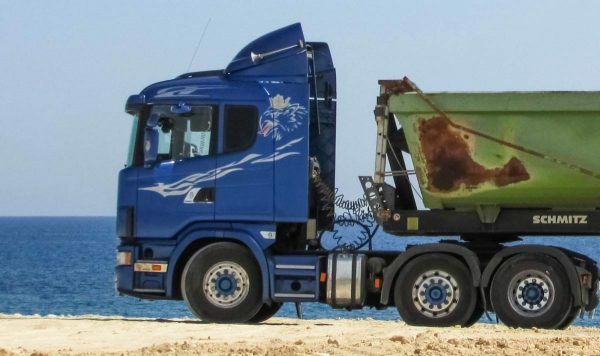 They ideally stretch from the tractor unit’s drive wheels to the trailers rear axles. They have an added advantage of stopping cyclists getting sucked under the trailer. The disadvantage is there is no option to drive your Honda Civic underneath like in The Fast and the Furious. These can be used in conjunction with aerodynamic hubcaps and fairings between the wheels (not shown). Even mudflaps can have the aerodynamic treatment. Where the cab ends, air is sucked around into the gap between it and the trailer and this creates wind resistance and turbulence. To minimise this you can move the trailer closer to the cab (if you have an adjustable turntable), but there’s a limit to how close you can move it without the corner of the trailer hitting the back of the cab in tight turns. Another option is to artificially extend the length of the cab using cab side vanes. They give the effect of having the trailer much closer, but without the risk of the trailer hitting them when turning, unless the angle between the cab and trailer becomes less than 90 degrees, which you can see in the first part of the following video and at around 3:51. When airflow is smoother then there tends to be less wind noise in the cab, and this also applies to wind noise audible to other people outside the cab. Better airflow means less of a slipstream that can be dangerous for cyclists and motorcyclists. 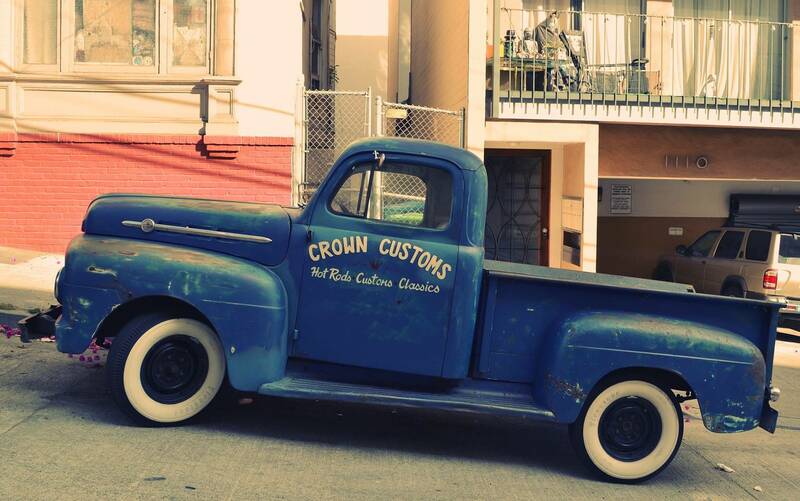 Fairings can be used to carry advertising and branding for the company, which you can see on the blue truck (above) where the logo design extends into the cab vanes.